Legend has it that before the voyages of Columbus and other European sailors, the far western edges of maps had the words “ne plus ultra,” there is no more, written upon the..
Mark 14:1b The chief priests and scribes were seeking how to arrest him by stealth, and kill him. Mark’s most explicit and direct answer to the question, “Why was Jesus killed?” is that the chief priests and scribes wanted him dead. But if we ask the question.. The answers to this question are quite diverse. Some say that Christians are all those who place that label on themselves. For statistical surveys that is the best way to go. Many people who are not members of any church call themselve..
What About Rewards and Punishments? Contributed by John B. Cobb, Jr. 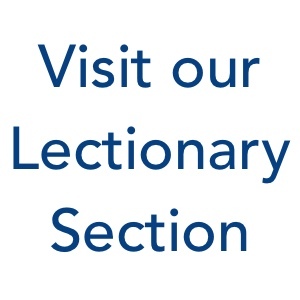 The scripture passages provided in the lectionary for today generally emphasize the idea of God’s justice. This is certainly a central theme for Christians. It was highlighted in the North American “Social Gospel,” which was widely influe..
Of course, Paul was not a feminist as that term is strictly employed today. Prior to the very recent period, no one was. But in a broader sense, the women who founded Ewha (would not count as feminists by rigorous contemporary standa..
Life is full of special moments – your first day at school, graduation from college, falling in love, your wedding day, the birth of a child, the day that God became more than a word to you. L.. The gospel of John has not exactly been my favorite gospel. I like parables—there’s not a single parable in John! And I am profoundly moved by Matthew 25, so cle.. Imagine yourself in those first weeks following the resurrection of Jesus, utterly overwhelmed by the events of Holy Week, the Empty Tomb and the Wounded-Risen Teacher and Savior, and the..